If there is any food I love the most, it is party food. I am a total sucker for little bites of goodness. I guess it’s because I am more of a grazer. I mean, I love my 3 square meals a day, but if I have the choice, I love to eat a little bit all throughout the day. That’s why I get excited for tailgating or holiday parties. Lots of bite-sized goodness! I can just keep going back and eating here and there as the mood strikes. 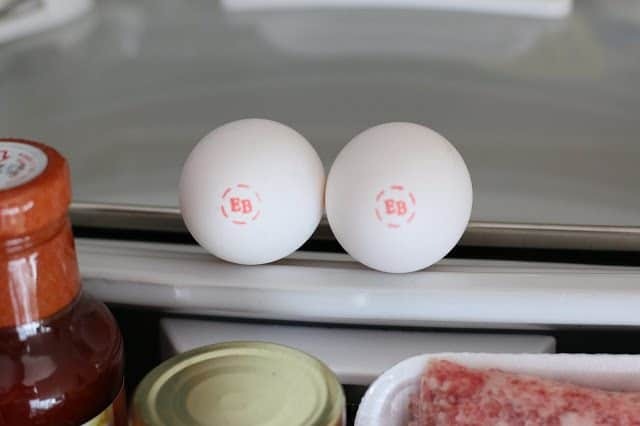 So the one ingredient that is crucial to any meatball or meatloaf are the eggs. 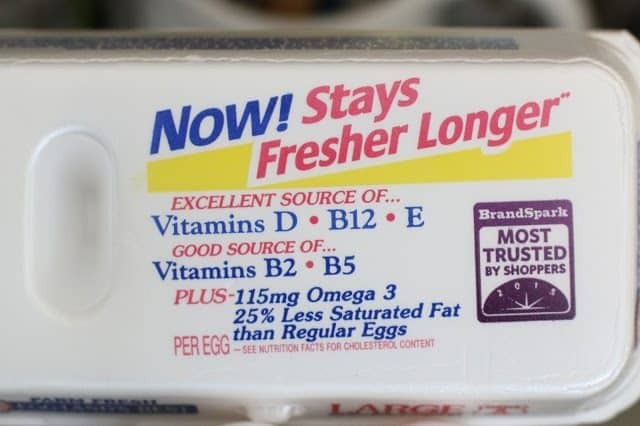 I’m using Eggland’s Best eggs here. The eggs keep everything together. They bind all the other ingredients so the meatball holds it’s shape. 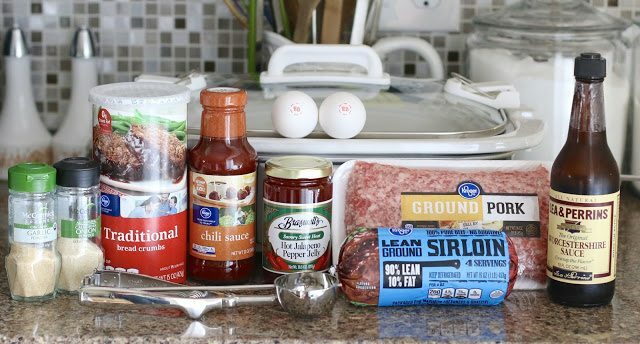 But that doesn’t mean we can’t add a little nutrition in with our meatball filling. 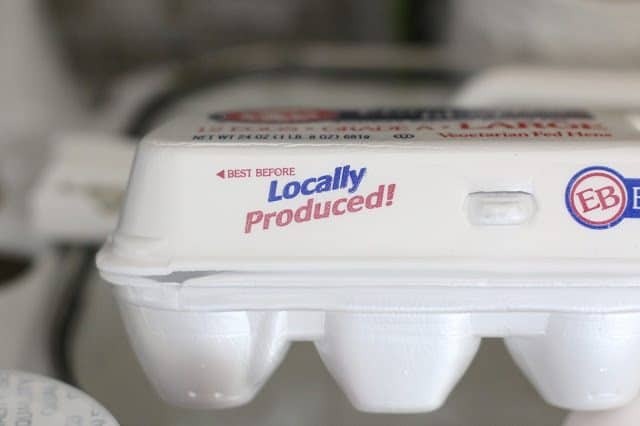 Eggland’s Best eggs are produced locally near you so they aren’t being trucked in from hundreds of miles away. AND, look at all the nutrition they pack (see image below). You aren’t gonna get that in just any ole meatball. Your family will be getting in some good ole Omega 3’s and not even know it! For this particular recipe, I chose to make a larger meatball. Most cocktail meatballs are half this size. However, I’ll be totally honest, I have no patience for rolling out meatballs. So I figured I would make these larger ones and each one would be perfect for two or three bites. 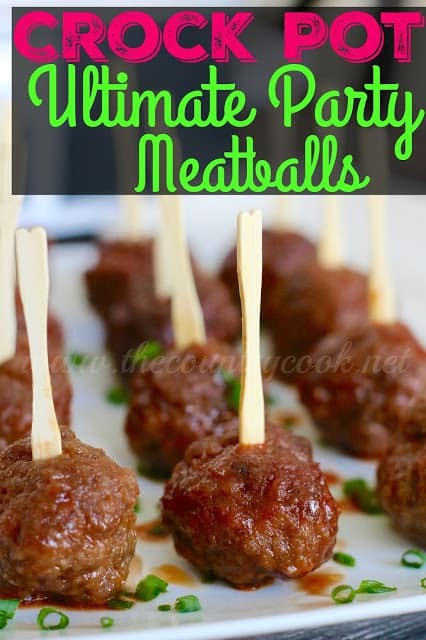 You can certainly use a smaller scoop and you would be able to double the amount of meatballs. I find this easiest to use a stand mixer. I just pop all the ingredients into the bowl and turn it on low until combined. However, using your hands works just as good. 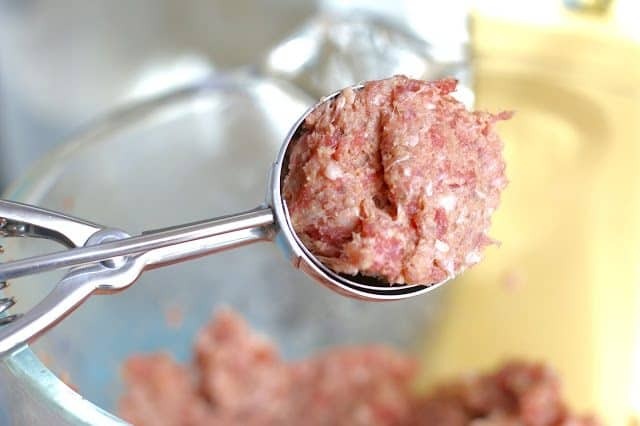 Using a spring-loaded cookie scooper, scoop out the meat mixture and roll between your hands to make them round. 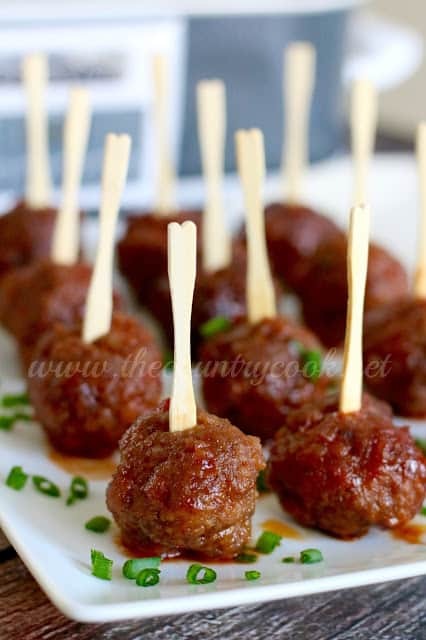 Using one of these will help you keep the meatballs an even size. This particular scooper is a medium one. It holds 3 tbsp. of meatball mix. If you don’t have one of these, just use a 1/4 measuring cup and only fill it about 3/4 full. Add meatballs on top of the sauce mixture. Continue until you’ve made all the meatballs. Cover and cook on low for 3-4 hours. Internal temperature of the meat should be 160f degrees. Flip the meatballs over about halfway through cooking. Once cooked, stir the meatballs so they are covered in sauce. Place on a plate with toothpicks or serve directly from the crock pot. You can place some plates and forks right next to the slow cooker so guests can help themselves. Just keep your slow cooker on the warm setting. Cook’s Notes: It’s important to use lean ground beef (90/10) for this dish. You don’t want the meat to release a lot of fat while cooking. We don’t want greasy meatballs here. Pork is naturally lean so it works well in this. If you don’t have one of these casserole crock pots, just put down a single layer of meatballs at a time. 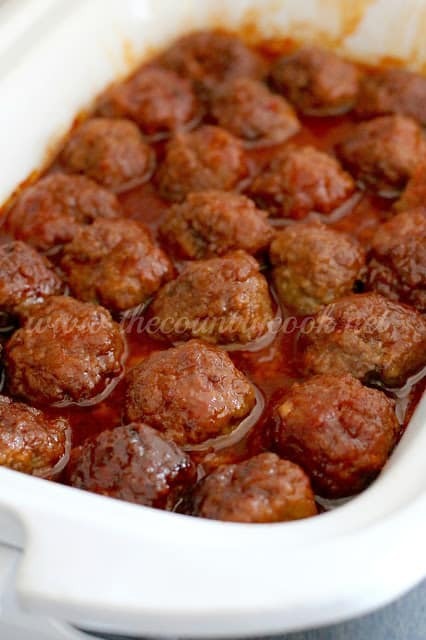 Add a sheet of aluminum foil on top of each layer, followed by a single layer of meatballs. 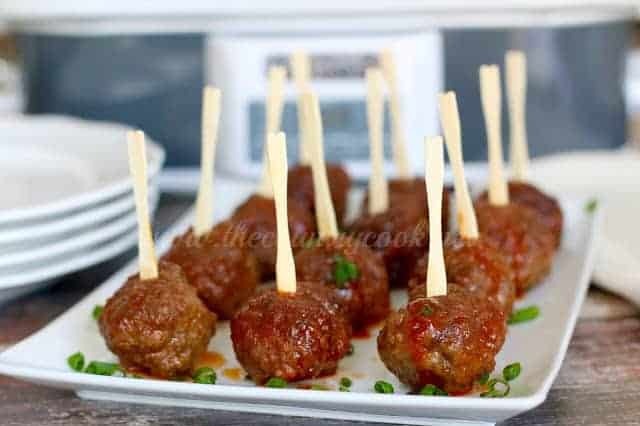 Once meatballs are fully cooked, remove the foil layers and give the meatballs a stir to cover them all in the sauce and allow the meatballs to simmer in the sauce for an additional hour. Before rolling the meatballs, pour the chili sauce and jelly into a 6 quart slow cooker. 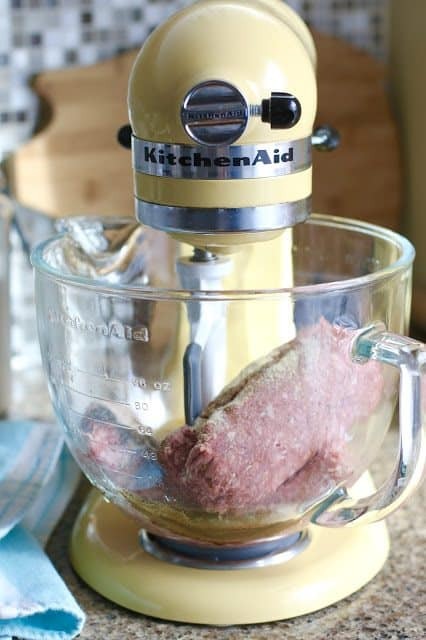 Using a spring-loaded cookie scooper, scoop out the meat mixture and roll between your hands to make them round. A medium scoop holds 3 tbsp. of meatball mix. If you don't have one, just use a 1/4 measuring cup and only fill it ¾ of the way full. Or use a smaller cookie scoop for smaller, bite-sized meatballs. Add meatballs on top of the sauce mixture. Continue until you've made all the meatballs. Cover and cook on low for 3-4 hours (or have reached an internal temperature of 160f degrees.) Turn the meatballs over once about halfway through cooking. It's important to use lean ground beef (90/10) for this dish. You don't want the meat to release a lot of fat while cooking. 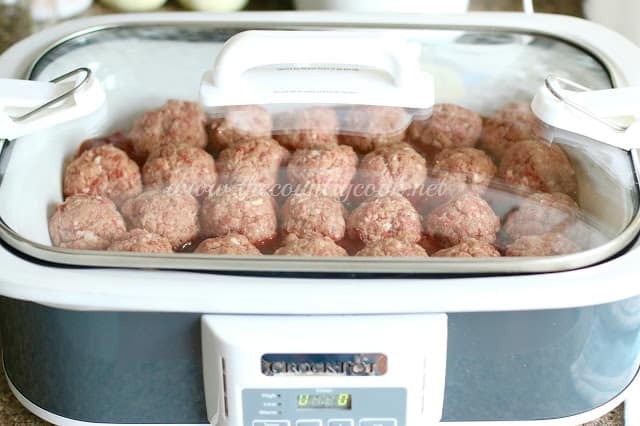 If you don't have one of these casserole crock pots, just put down a single layer of meatballs at a time. 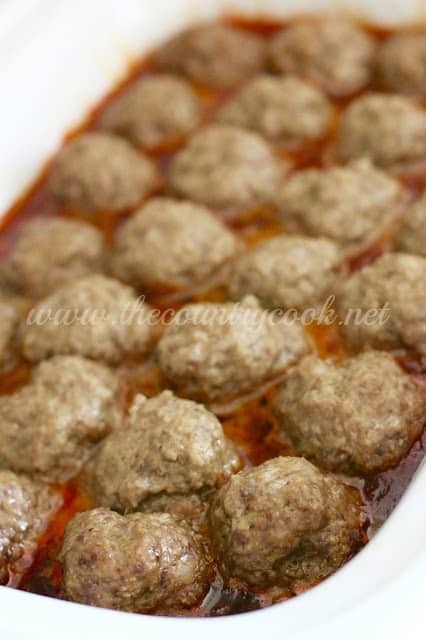 Add a sheet of aluminum foil on top of each layer, followed by a single layer of meatballs. 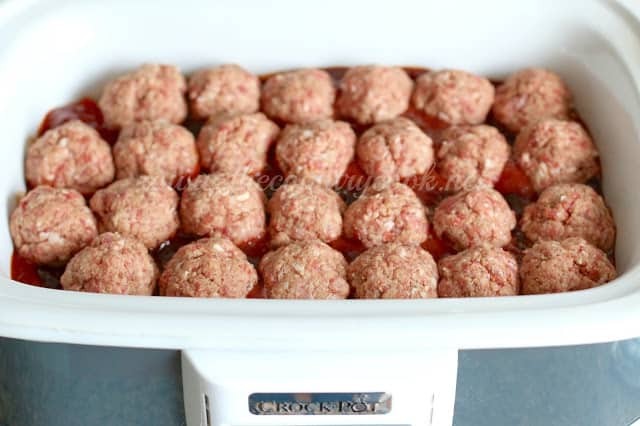 Once meatballs are fully cooked, remove the foil layers and give the meatballs a stir to cover them all in the sauce and allow the meatballs to simmer in the sauce for an additional hour. This is a sponsored post. I am a proud ambassador for Eggland’s Best eggs and all opinions are my own. Thanks so much Leslie!! Ronnie, you could certainly use turkey in this. Or you could just use all pork. Or even venison or chicken! 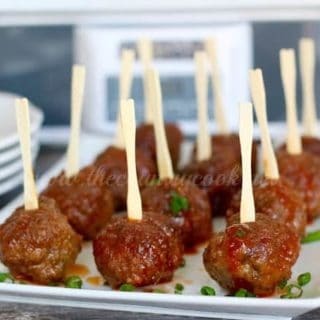 These meatballs are making my mouth water!! 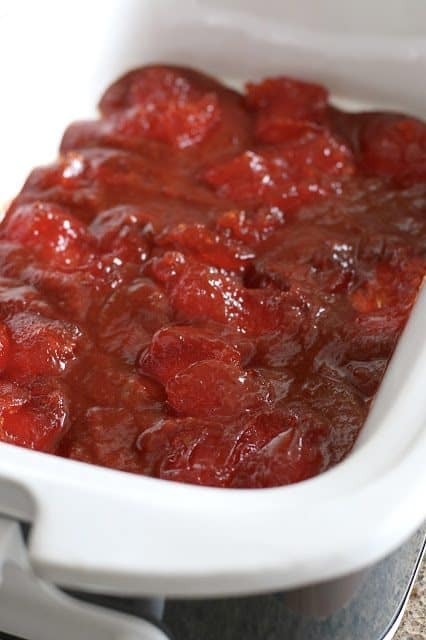 They would be perfect for an appetizer or a crazy good and easy dinner around the holidays! Are these spicy since using pepper jelly?? If you want them less spicy, do all the above except substitute a bottle of Chili Sauce for the Pepper Jellly. Can I just bake those meatball then put them in a Crockpot with the sauce? 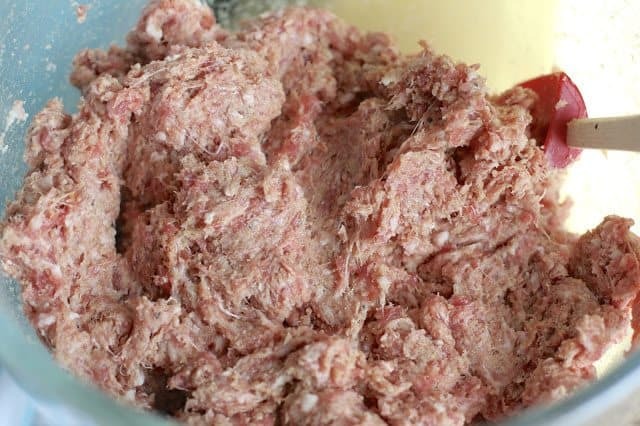 The adding of pork to the hamburger would cause a lot of grease in the Crock pot if not baked first. HI, do you still turn the meatballs halfway if doing them in layers in the crockpot? Mine is an oval crockpot and I have one layer on the bottom in the sauce and one layer above on foil. Can you use frozen meatballs instead?